My two cents worth! These are my thoughts, reflections and connections regarding my learning in our Ed Tech ECI830 class. So, I’m old. Ok, I am ONLY 49. But in a class about educational technology and its influences on today’s youth, I am definitely at a disadvantage. In previous blogs, I explained how I didn’t even think this computer thing was ever going to catch on. I even told my brother that very statement! I remember using a computer mouse for the first time, when I had already been teaching for about 7 years and being blown away by the technology. So, how my age becomes relevant in regards to this week’s ECI830 debate entitled “Social media is ruining childhood” is my personal connection to a childhood completely sans technology. Our social media when I was a kid was passing notes in class and calling our friends on the telephone…that was attached TO A WALL, BY A SHORT CORD, and had a DIAL (not buttons). Having said that, I also can appreciate how different does not always mean bad. 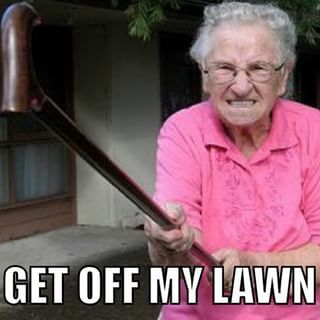 I am not a “Get off my lawn” old lady. I respect that technology has both benefits and detriments to our lives. In the article, A Generation Zers Take on the Social Media Age they said that “social media has given us a way not only to speak out, but to educate ourselves and expand our minds in a way that is unprecedented”. I can appreciate that comment, as I have evolved to include some form of social media in my daily diet of work, communication, and entertainment. The agree group listed dangers of social media, including depression and anxiety as well as other mental health issues. They suggested that social media might lead to more attention seeking/risky behaviours . Cyber-bullying was also described as a negative factor in the social media influence sphere. The info-graphic Teen Cyberbullying and Social Media Use on the Rise [INFOGRAPHIC] provided by the agree group is a useful tool that could be used with students, parents and staff alike. From the disagree group, the topics of student autonomy and digital identity came through as an opportunity for children rather than a negative effect. The disagree group promoted connectivity and access to answers through social media. They were particularly adamant that use of social media can help students make social connections and give them access to mental health supports online. I was particularly interested in the article How students become influencers and advocates as part of my personal mission as an educator is to empower students to change the world for the better. If you follow me on Twitter, you may have seen a news article shared by myself about my Grade 7 students’ recent social action at the Saskatchewan Legislature. George Lee Students Lobby Provincial Government for Better Youth Mental Health Supports. Students made an impact by using their collective voice in a social action walk. However, we also shared our action on Twitter and Facebook. As a result, almost a week later, we are still making change in our province and their voices are continuing to be heard as the story continues to be shared by the social media communities. The stories have had many social media shares and our message was heard beyond our school community. Today, I was ambushed in my VP office by a group of grade 8 students who want to create a “Stop the Trash Talk” day before the end of the year. They are tired of people, particularly girls, being body-shamed and trash-talked about their body shapes and sizes. Their plan is to organize a day where all protesters wear garbage bags to make their point. But, they are also planning a social media campaign to make their message more clear and to gain traction for their mission. While I find their mission commendable (and I am honestly heart-burstingly proud that these people are my students), I was compelled to ask where they are hearing those negative comments. Their first response was “on the playground” and their second answer was from a variety of social media sites. It’s rather ironic that students are using the very platform that has been used to demean them to speak back and take their power back from the cyberbullies. I am excited to see where this plan takes them! Stay tuned! Is childhood today the same as that which existed almost 50 years ago? Do we, who did not even experience childhood in the same way these students are, have any right to exclude social media use? Just because it didn’t exist in my childhood, do I have any right to unequivocally judge it as negative? Do students have the developmental ability to negotiate this new system for their own benefit? Why did Shelly ever think this computer thing was never really going to catch on? I think that social media is a part of our daily lives in North America now and it is not going away. Therefore, we need to challenge our youth to create a balance in their worlds, in whatever way is healthy for them. They need to be encouraged to use their voices to empower themselves and their friends, and if a social media platform is their stage, then so be it. Those of us with influence need to use our opportunity to educate ourselves and then our students about ways to negotiate this world in a healthy manner. In the class debate, opinion was fairly divided and I would say that I am personally somewhat divided myself. I think that the pendulum has swung too far away from the relatively mediocre and socially barren days of my childhood, and a balance needs to be regained to include a variety of interactions and activities to more fully embrace this thing we call life. Next postTechnology as an equalizer or oppressor? Isn’t it interesting that the group of students who approached you are having issues face to face and on social media and are choosing to use both avenues to tackle the issue! Would love to hear more about how they are approaching this and if their idea takes off! Really like your idea of asking some questions about social media before we really decide whether it is good or bad! I too feel old and remember most of my childhood sans technology. My Dad brought home a computer when I was 12 years old that only had green text and large floppy disks to save your work on. I have an issue of reminiscing about the “good old days” myself but is different necessarily bad? This generation is growing up with technology from such a young age but I love hearing about how your students are putting it to good use and finding their voice. I guess we will see if the pendulum swings back so to speak but I am not going to hold my breath until it does. Great post!! Great post Shelly! I like how you looked at both sides of the debate. I think you hit some big points that both sides covered but I too, found the social media advocacy piece the most interesting. I love that your students are taking a stand against the bullies and cyber-bullies by using both platforms! I can’t wait to hear how it turns out for them. I think there is a lot of potential for social media platforms and I think we are starting to see it more and more. The use of hashtags has become popular to support causes but I think it is important to ask our students, “then what?” Sure, advocate for your cause using social media; gain attention and a community, but then what will you do about it in the real world? Like it or not, these worlds remain divided in terms of creating real change and I think your students are on to something by looking at both! Good luck! Loved this post, Shelly! In fact, I find your comments on your blog and in the Zoom sessions very valuable because you have so much more educator experience. Your first paragraph made me laugh, but I think you bring very good points to ed tech discussions. It makes me wonder how/what technology will be used in twenty years, and that embracing change is a good reminder for all educators. Your five important questions gave me an opportunity to reflect and consider my own questions about social media. You summed it up nicely at the end – we need to restore balance. Great post-Shelly and I really liked your questions and you have some great points. I agree that social media is a part of ours and our youths daily lives and we have to show them how to balance it efficiently. While the advantages of social media tools are bountiful yet it had its own negative outcomes. While social media tools can be a great source of knowledge sharing, interaction it can also be distracting. There are positive and negative ends but as educators, I feel that it is our duty to tailor our students in becoming positive and efficient digital citizens so that they will be safe and successful in the future. Once again great read and will look forward to your next one.